Nigerian Air Force Institute of Technology, AFIT Post Graduate Diploma (PGD) and Maters Postgraduate Admission Form, Admission Requirements, Application Guidelines, Screening Dates, Time and Venue for 2018/2019 Academic Session. 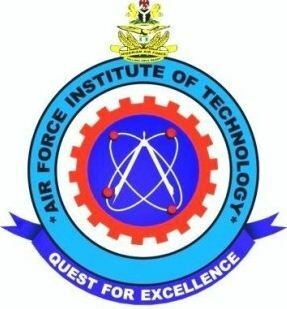 Air Force Institute of Technology, Kaduna (AFIT) hereby seeks applications from suitably qualified candidates for admission into the following NUC accredited postgraduate programmes for the 2018/2019 Academic Session. a. Post Graduate Diploma (PGD) Programmes in Aerospace Engineering. Electrical/|Electronic Engineering, Metallurgical Engineering, Computer Science/Engineering, Material Science Engineering. b. Post Graduate Diploma (PGD) Programme in Logistics and Supply Chain Management. d. Masters Programme in Aerospace Engineering. b. Create a new user profile with email for postgraduate applications. c. To access the admission form, you will be required to pay a non refundable fee of N10,000 only for postgraduate application using our online payment portal. e. Applicants for postgraduate programmes are to forward transcripts of degree/diploma certificates by mail. to AFIT Registrar, PMB 2104, AFIT, Kaduna. a. Original and photocopies of O’ level Results and First Degree Certificates (as applicable). a. Postgraduate Programmes – 3 October 2018.